Turquoise Sky Glazed Dinnerware Plate 6-3/4"
Home | Ceramic Bowls - Plates - Condiment Containers | Dinnerware | Turquoise Sky Glazed Series | Turquoise Sky Glazed Dinnerware Plate 6-3/4"
Ceramic turquoise sky glazed dinner plate. Perfect for serving salad, pasta, sushi or small dishes. 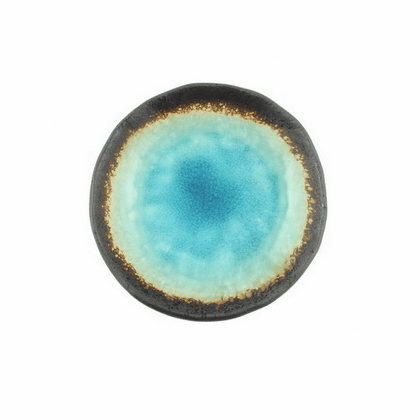 Smooth glazed turquoise center with a dark brown rim. Measures 6-3/4 inches in diameter. Matching ceramic rectangular plate available.